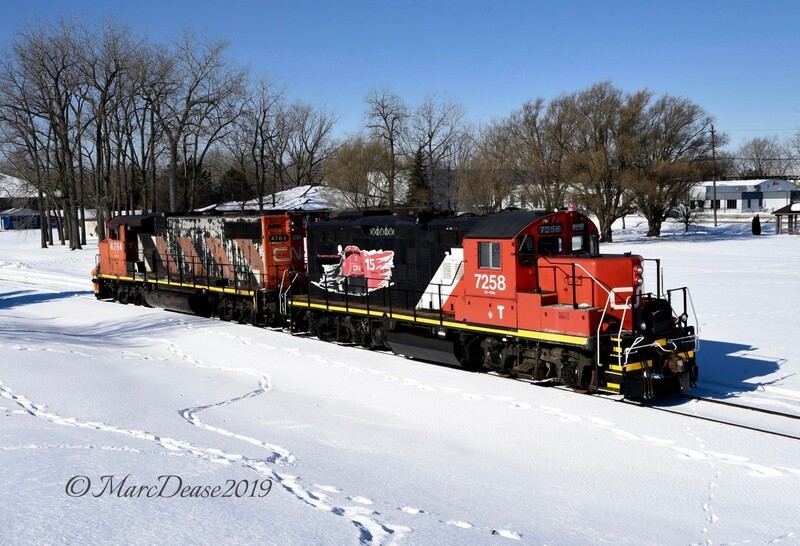 Railpictures.ca - Marc Dease Photo: New power on the IOX job in Sarnia with the addition of CN 7248 paired with CN 4784 as they run light to pick up a cut of full hoppers at the elevator. | Railpictures.ca – Canadian Railway Photography – photographie ferroviaire Canadienne. Copyright Notice: This image ©Marc Dease all rights reserved. Caption: New power on the IOX job in Sarnia with the addition of CN 7248 paired with CN 4784 as they run light to pick up a cut of full hoppers at the elevator.